A classic argument for why using a bag of words model doesn’t work properly for sentiment analysis. “I like the product” and “I do not like the product” should be opposites. A classic machine learning approach would probably score these sentences identically. Computers always have trouble understanding figurative language. “The best I can say about this product is that it was definitely interesting …”. Here, the word “interesting” plays a different role than the classic, positive meaning. A complex text can be segmented into different sections. Some sections can be positive, others negative. How do we aggregate the polarities? Here we can see the presence of two sentiments. Is the review a positive one or a negative one? Is having a not-so-great battery a deal breaker? These seem indeed to be complex problems. The solutions aren’t simple at all. 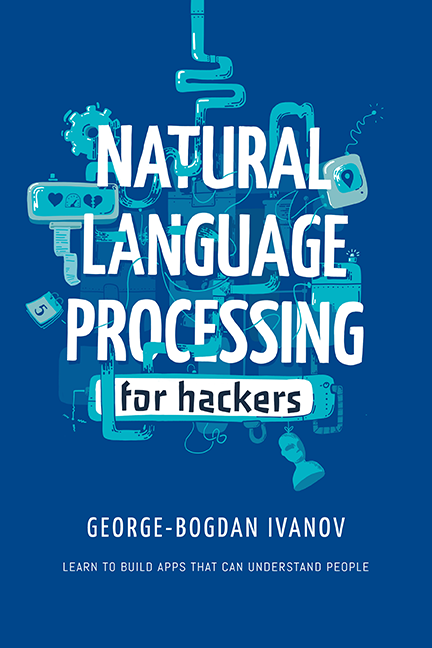 In fact, all these issues are open problems in the field of Natural Language Processing. For now, the best approach is to tune your algorithms to your problem as best as possible. If you are analyzing tweets, you should take emoticons very seriously into account. If you are studying political reviews, you should correlate the polarity with present events. In the case of the phone review, you should weigh the different properties of the phone according to a set of rules, maybe combine the approach with some domain-specific knowledge. There are a few resources that can come in handy when doing sentiment analysis. In this tutorial, we’ll use the IMDB movie reviews corpus. It has enough samples to do some interesting analysis on it. Download it from here: IMDB movie reviews on kaggle. The corpus has many files, containing unlabeled data and test data. We’re only interested in the labeledTrainData.tsv.zip file. Unzip the file somewhere at your convenience and let’s start. The sentiment in this corpus is 0 for negative and 1 for positive. As you can see, it also contains some HTML tags, so remember to clean those up later. Let’s shuffle the data and split it for training and testing. One of the most straightforward approaches is to use SentiWordnet to compute the polarity of the words and average that value. The plan is to use this model as a baseline for future approaches. It’s also a good idea to know about SentiWordnet and how to use it. The SentiWordnet approach produced only a 0.6518 accuracy. In case this figure looks good, keep in mind that in the case of binary classification, 0.5 accuracy is the chance accuracy. If the test examples are equally distributed between classes, flipping a coin would yield a 0.5 accuracy. NLTK has some neat built in utilities for doing sentiment analysis. I wouldn’t name them “industry ready”, but they are definitely useful and good for didactical purposes. Let’s check out SentimentAnalyzer. # mark_negation appends a "_NEG" to words after a negation untill a punctuation mark. print "Computing Unigran Features ..."
I’ve obtained a 0.8064 accuracy using this method (using only the first 5000 training samples; training a NLTK NaiveBayesClassifier takes a while). Not quite happy yet. NLTK also contains the VADER (Valence Aware Dictionary and sEntiment Reasoner) Sentiment Analyzer. It is a lexicon and rule-based sentiment analysis tool specifically created for working with messy social media texts. Let’s see how well it works for our movie reviews.
""" Transform the output to a binary 0/1 result """
Pretty disappointing: 0.6892. I know for a fact that VADER works well for other types of text. It’s just not the case for our problem. Keep this tool in mind for your projects. Let’s try to tie things up, and build a proper classifier with Scikit-Learn. For our last experiment, we’re going to play with a SVM model from Scikit-Learn. We’ve played already with text classification in the Text Classification Recipe. Make sure you brush up on the text classification task. Using bigrams instead of unigrams (aka words) is a trick for improving performance in text classification. By using bigrams, we preserve “more context” for the words in the text. 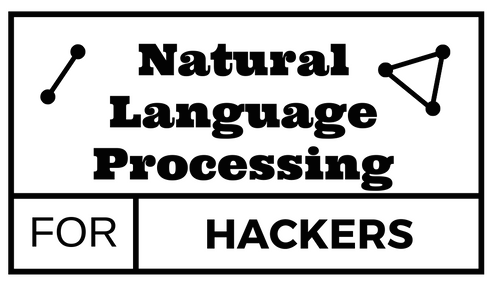 Strangely enough, using mark negation actually lowered the accuracy of our classifiers in all cases. The classifier using unigrams and bigrams won the contest with a 0.883 accuracy. That’s it. This was an extensive introduction to sentiment analysis. Hopefully, you got an understanding of what the task of doing Sentiment Analysis implies, what are the most important problems we face and how to overcome them. # mark_negation appends a “_NEG” to words after a negation untill a punctuation mark. Why do you have in your clean_text function: text = text.replace("", " ") instead of text = text.replace("
You are putting one space between each letter, making them words, so instead of words as features, you have letters. Sorry sir, again i got the same as 0. I’m using python3.5. So utf-8 not supported by this version3.5. So i removed that statement from cleaning function. I got the following output. Please create a Gist on Github and send it over. I used the code under “Using SentiWordnet” heading in your post. I tried for 5000, Even though i got 0. Kind of late, but I ran into this same issue and figured out the problem. The users running into the 0 accuracy bug are trying to port the code to Python 3. In Python 3 the zip() built-in returns a generator instead of a list. The other code posted here addresses this in the sections that will throw an exception (due to indexing) by wrapping the zip() in a list(), however, they do not similarly wrap those passed to the SentimentAnalyzer. The SentimentAnalyzer will not complain when passed a generator in place of a list in this way, but the evaluate method does not work properly and appears to simply return an accuracy of 0 without doing anything substantial. Strangely, the train method seems to work fine either way, and the inconsistency makes me suspect this is actually a bug in NLTK. In any case, wrapping the zip() passed to evaluate in a list() should make the code work as expected. Excuse me how can I get steps of build dictionary using Vader dictionary on facebook comments and can you help me by sending me figure shows a list of output ( positive and negative words ). I’d love to help you out with info, unfortunately, I don’t fully understand the question. The Vader method should work on FB comments out of the box. The Implementation of this study start with extract message column from Facebook comments using face pager tool then the second step is the pre-processed for extracted data which started with Tokenization then Stemming finely POS Tagging in this step identified which words are adjectives then we identified which words related with sentiments (adjectives) by getting an example of happy words an sad words by using vader dictionary via nltk tool after that selected the words (positive , negative ) we have to classifiy these words as positive and negative words from these point we built a lexicon and we produced like a database in side lexicon there is a list of words( positive , negative) . Once we got this lexicon we used it to tag our post again to built training data . the process of building training data include it comments and there class so after that to we have to do machine learning on this data to train the midel by using one of the clasifires like ( Naivebyse ,SVM ….) Once the model get high accuracy parameters we will test it in our work. Figure 1 shows an architectural methodology of the proposed combined Lexicon and Machine Learning techniques. Our report progress consist of three steps namely data extraction, pre-processing and build dictionary. Thanks a lot for this post, this was very helpful. I am trying now with some samples to see how the predictor is doing, but I am struggling on how the input-data has to look like. When I tokenize it, I get an array of predictions per word. When I enter a sentence I get an error message, that it was expecting an interable, not a string. When I enter a list, python wants me to send a string, etc… How would I have to structure a simple sentence or paragraph to get the prediction? Are you referring to the sklearn model? Sklearn models require a “list” of inputs for the transform/predict methods. Thanks. I used the sklearn model indeed. model.predict([“bla bla bla”]) works. Thanks!! Really a great article for beginners like me. Can you please suggest me something to detect exaggeration in any article? Ur article is good for the beginners.thanks for your article. also i wld like to know that is it possbile to write the result of each review and its corresponding sentiwordnet score in csv file.i am trying but not able to write. if so kindly provide me the code. May I know why I got 0 accuracy for NLTK SentimentAnalyzer? Not sure, you might need to provide more details 🙂 Are you sure the classes from train/test set are identical? Would you help me to check this code ? nice post. It helped me a lot! I am trying build generic sentiment analyser bu considering negations as well. can youplease guide me, how can i handle double negations? I have a question regarding the accuracy of the method of SentiWordNet. As I know that SentiWordNet is an unsupervised learning method, how can it be possible to obtain an accuracy for unsupervised learning? *I am sorry if this question does not make sense. I am new to this field. Thank you! Thank you for your question. Doing sentiment analysis with SentiWordNet is not exactly unsupervised learning. In fact, it is not a machine learning model at all. We call this a “Corpus-based method”. We have polarities annotated by humans for each word. Using these polarities we apply a heuristic method for deriving the polarity of the entire text. We hope that averaging the polarities of the individual words will be a good predictor of the overall sentiment of the entire text. We already know what the polarities of the texts are because the texts come from an annotated corpus. This is how we can compute the accuracy of the method. If the texts were not annotated with a sentiment score, indeed, there’s no way we can compute the accuracy. This actually helped me a lot. Even though it is clear that the email has a negative sentiment, the analyzer returned it as a text with positive sentiment. Could you suggest me what I should do in this case or is there a better way to build a sentiment analyzer for the Documents. The Vader Analyzer is geared towards short, social-media type text. It won’t be effective for what you need. Remember, a model works best on the data it was trained on, hence you’ll need to build a model trained on that type of emails. Great article for Beginners . Definitely would like to see more of such articles.